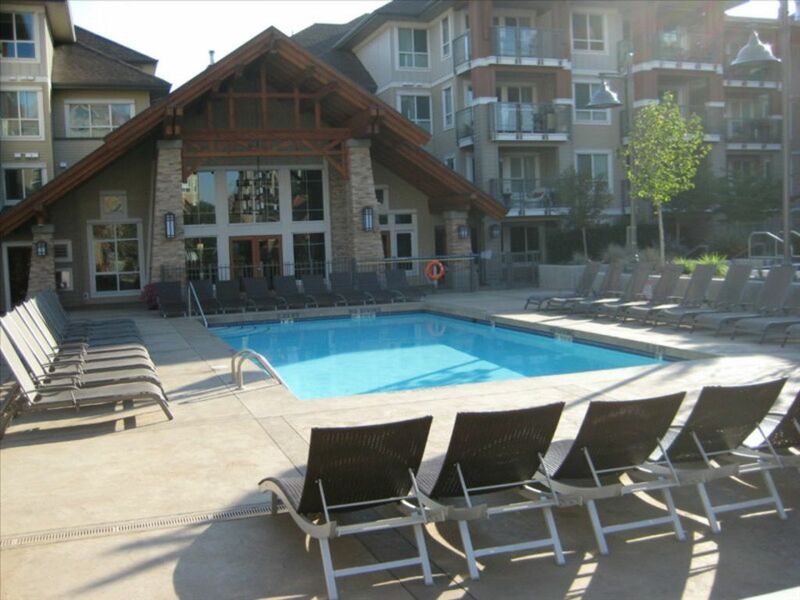 Kelowna's newest resort with outdoor pool, hot tubs, barbeque, gym, games room. Short walk to lake, restaurants, beaches, and watersports. Enjoy your holiday at our comfortably furnished condo at the beautiful Waterscapes resort. We have a Weber BBQ if you choose to eat in or take advantage of the large BBQ by the pool. Towels for the pool are provided. In suite washer /dryer, Hairdryer, Iron and board, dish soap and laundry detergent included. A selection of Board Games for your use. As Waterscapes is downtown you are walking distance for everything Kelowna has to offer, beach is just a short stroll across the street, Restaurants, Pubs, coffee shops galore, ice cream, the cultural district, casinos, so much to do and see, you may not want to leave. There is a pool and two hot tubs also if your feeling energetic there is a Gym and a club house with pool tables to enjoy. Knox mountain is a short drive or you could walk or cycle great for mountain biking or to work off that ice cream, there are Tennis Courts here for public use. See the beautiful views from the top, worth the hike, but you can drive up here too. Wineries are must when visiting Kelowna, Summerhill, Misssion Hill and Quails Gate are some of our favourites but lots to discover. Golf Clubs, lots of great golfing here too whether you want 9 holes or the full 18 there are many top places to choose from. Should you have any queries please do not hesitate to ask. Fee of 115.00 CAD for stays that are 3 to 4 nights in duration. Guest is asked to leave soiled linens and towels in the bathtub or shower. Okanagan lake is a 5 minute walk from the property. The coarse sand beach gradient is gradual for a short distance. There is no dock, moorage or float anchor. This is the second time I’ve stayed here with my older teenagers. Fabulous location so close to downtown. Beautiful boardwalk across the street for leisurely strolls. We used the pool table in the facilities and the swimming pool always is inviting. :) The owner is very easy to deal with and always takes time to answer my questions. I would absolutely stay here again! Stayed here on the August Long Weekend and loved it! Was close to downtown but not in the middle of the chaos that comes with Kelowna on a long weekend. The condo was clean and furnishings were updated and comfortable. A/C was also nice to have. The pool and hot tub were never too busy, and very clean. Would stay again in the future. Great Place to Stay in Downtown Kelowna. My wife and I really enjoyed our stay at this condo. The owner was a gracious host and the condo was very clean and well-appointed. We really appreciated that it was a 3-4 min walk to the lake and there are two restaurants and a café that are very close to the condo (2 min walk max). We highly recommend the Cuban Café for nice lunch and a hearty and inexpensive breakfast. There is u/g parking but the condo is just 8-10 min walk to the downtown area with its many restaurants and shopping so you really do not need a vehicle when staying here. Nice to be able to have a drink with dinner and not have to worry about driving! The condo has two bedrooms and two baths so even though there was just the two of us, we plan to bring our two kids next time we travel to Kelowna. The place was very clean and centrally located in the heart of downtown. The owner was very considerate and the communication through the whole process was great. I'd definitely recommend staying here. Clean, well-equipped condo in great location close to beach. The owner was great to deal with. My only suggestion would be to have some more towel bars put up and maybe a rack on the patio to dry swim towels. All in all, though, a comfortable place to stay. The apartment was very inviting and next time we visit Kelowna we will be requesting the same unit. The owner was very friendly and introduced us to all necessary details. We look forward to the next visit either in 2015 or 2016. Security or Damage Deposit A credit card is required for a security/damage deposit. Pet Policy, Deposit &amp; Fees Pets are not allowed due to bylaws/regulations/policies. NOTE: Persons traveling with and requiring a Service Animal have special rights and must be granted access regardless. Cleaning on Departure A fee is charged for Cleaning on Departure Fee of 90.00 CAD for stays that are 3 to 4 nights in duration. Guest is asked to leave soiled linens &amp; towels in the bathtub or shower. Linen Linen is included in the rent Parking Parking is free.